Now, learning foreign language is the most important requirement. But, as we know that foreign language learning through institutions guidance it feels too expensive and consuming a lot of time. But actually there are several ways where you can learn a foreign language for free. 9 website below can help you to learn a foreign language for free. Ready to try? Babbel.com is a site which offers visitors to learn some language for free. you can learn Portuguese, England, Germany and Russia. Babbel is very user friendly for use in any device and has advantages that allow you to learn a foreign language directly. Bestessay.education is a great site for student who their original language not English. In the bestessay.education, there are a variety of intelligent and talented students that has been tested in English skills they, but they need a little data on their job. Busuu is social website that allows users to register and choose the language they want to learn. Busuu's users can interact with native speaker and test language ability of their own. This is a good choice for you who want to learn the foreign language through social experiments. If you focus on learning foreign language with cards, you might like Byki.com. There are two options, free and paid. But you can take several classes for free here. This site can also be opened through your device easily and not too burdensome your device performance. duolingo is a combination of the free site, cool sites and complete language site. Almost the same as the site or other similar, if you use duolingo then you could take several classes, you can set the development of your own language. If you want to instruction and feedback, there are many teachers will be happy to provide input and report your process. If you want to learn the language of the native, this place is the answer. 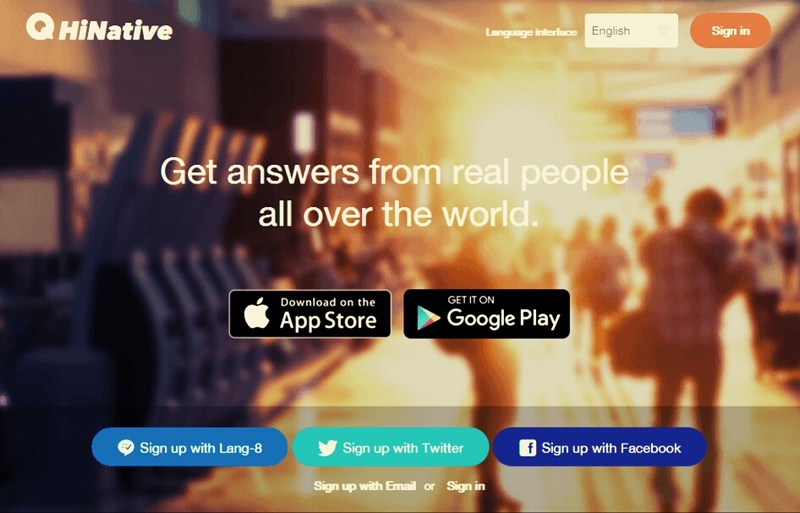 Hinative is answer and question community about language. There you can meet with the experts. So you can talk directly to the native how to spell something, or ask if your translation is good or not. This site deliver a curriculum which explained in visual language that makes learning sessions fun. This site can also provide several different interactive experiences. You can choose the language you want to learn and you will be taken to an interesting visual material. When learning a language, memorizing is one of the keys. Memrise will make the process of memorizing easier. Using a game based approach, Memrise has several steps you can do in order to memorize a word or phrase. This website is dedicated to learning culture based on language education. That is, you who attend classes on this site can learn a foreign language as well as experience of cultural recognition.